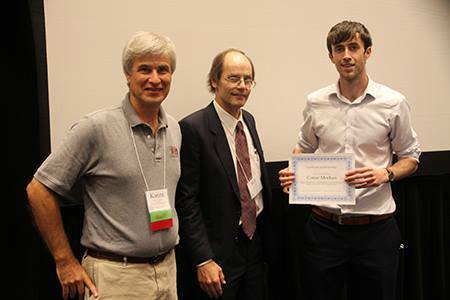 At this year’s System Dynamics Society International Conference in Cambridge, MA, GSF Alum Conor Meehan (Ireland) was awarded The Barry Richmond Award for his work developing an educational module demonstrating The Lab’s sustainability framework using the language of System Dynamics. The award is given annually to a deserving Systems Dynamics practitioner whose work demonstrates a desire to expand the field or to apply it to current social issues. This development of the module was financed by the Foundation for the Promotion of Systems-Oriented Management Education at the University of St. Gallen (Stiftung SSOM). You can learn more about the module here and view the module itself here. Following the conference, Conor was able to join The Lab at a workshop for our GSF 2018 Summer Session.